You already know how important daily brushing and flossing are for maintaining better oral health. Professional dental cleanings play an important role in keeping your teeth and gums as healthy as possible. Make professional cleanings part of your routine by visiting the dentist once every six months. At Cape Vista Dental, Dr. Andrew Yoon is your dentist in Orange City, FL, for regular dental checkups and professional cleanings. 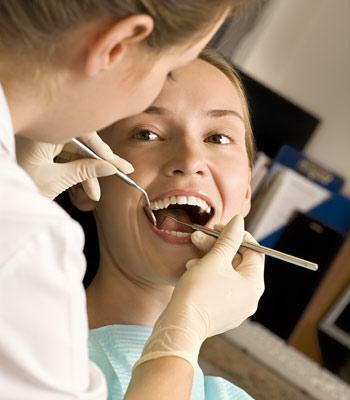 Getting regular professional dental cleanings for your teeth and gums is a form of preventive care. By maintaining a clean mouth through good oral hygiene at home and regular cleanings at the dentist’s office, it is possible to prevent tooth decay, gum disease, and other oral health problems. However, if any oral health problems begin to develop, they can be caught early when you are visiting the dentist regularly for professional cleanings. Early diagnosis of oral health problems makes it possible to treat issues promptly before they progress. Regular professional dental cleanings not only improve oral health, but they can also improve your overall health. One way professional cleanings can improve overall health is by stopping the spread of infection. It is possible for tooth or gum infections to spread to other areas of the body, which can lead to various health problems. Maintaining a clean mouth can contribute to better overall health. Make professional cleanings part of your dental hygiene routine for optimal oral health. To schedule a professional dental cleaning with Dr. Yoon, your Orange City, FL, dentist, call Cape Vista Dental at (386) 774-0125.